dose a skrit folow in the order ? 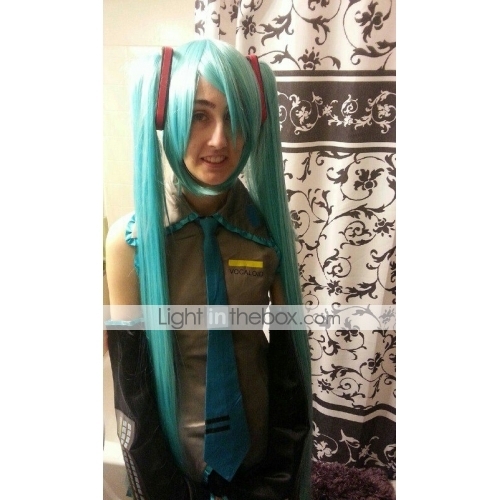 Comes with wig and tights? Viene con peluca y medias? We are 15 days later and i got still no solution! I know you have My Package! You promest to give me a full refund of 28.80 euro! So pay me back! ALL BUYERS BE AWARE! THESE PEOPLE ARE CRIMINALS AND THIEVES! DONT BUY HERE, YOU ONLY LOSE MONEY!! We are 15 days later and i got still no solution! I know you have My Package! You promest to give me a full refund of 28.80 euro! So pay me back! ALL BUYERS BE AWARE! THESE PEOPLE ARE CRIMINALS AND THIEVES! DONT BUY HERE, YOU ONLY LOSE MONEY!! my order still does not arrive, could you tell me what's going on? aun no llega mi pedido, podrian decirme que esta pasando? Perfect. Beautiful material, not cheap at all. It looked too silky in the picture and I was worried it would be too slippery like, but it turned out to be perfect. I was also worried it would be too big, (I chose medium) But it fit nicely and its very comfy and easy to put on. Im super satisfied. WILL buy again from here. Shipping took 5 days as promised, (Picked most expensive shipping) but the processing time, from when it actually left the factory, took a little while. Around a week and a half. But it arrived in time and Im very happy with it. Perfect. Beautiful material, not cheap at all. It looked too silky in the picture and I was worried it would be too slippery like, but it turned out to be perfect. I was also worried it would be too big, (I chose medium) But it fit nicely and its very comfy and easy to put on. Im super satisfied. WILL buy again from here. Shipping took 5 days as promised, (Picked most expensive shipping) but the processing time, from when it actually left the factory, took a little while. Around a week and a half. But it arrived in time and Im very happy with it. would you recommend this costume for a first time cosplayer? would you recommend this costume for a first time cosplayer? 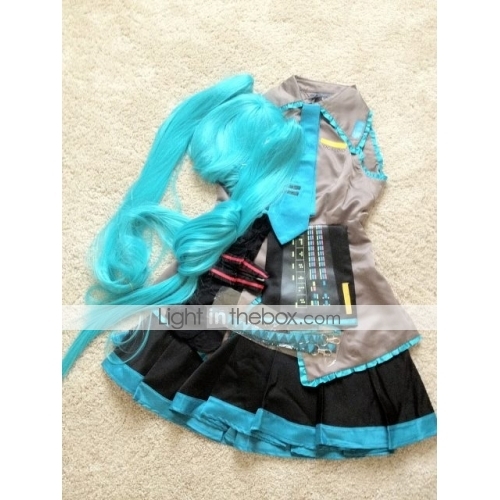 Hello I saw your review and before I get it I was wondering dose this cosplay outfit come with a wig? 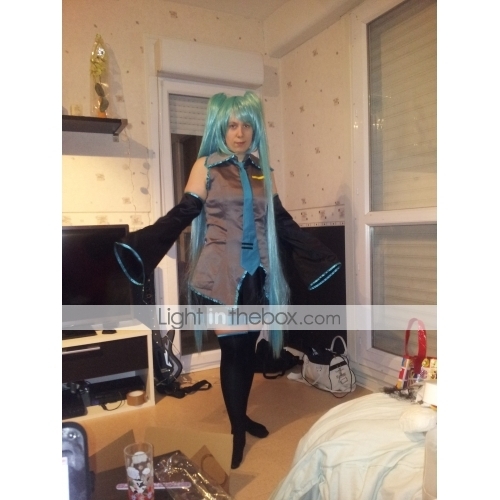 Hello I saw your review and before I get it I was wondering dose this cosplay outfit come with a wig? Good Quality fabric, fitted my body perfectly. came in excellent condition. 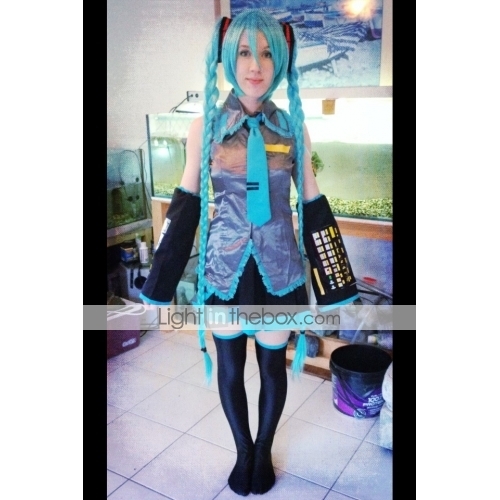 Will advice to buy it for Animecosplay! Good Quality fabric, fitted my body perfectly. came in excellent condition. did your outfit come with the shoes? did your outfit come with the shoes? did your outfit come with the wig ? did your outfit come with the wig ? Did it come with the wig???? 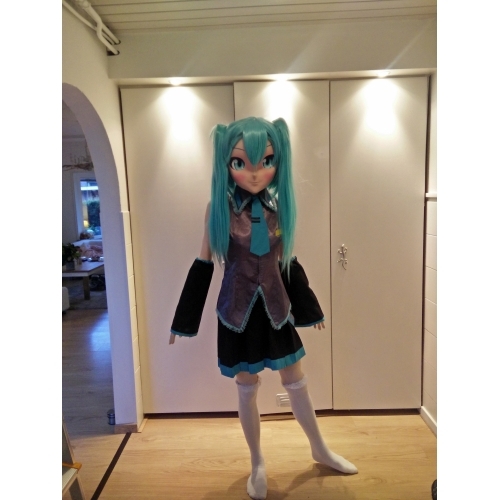 would you recommend this for a first time cosplayer? would you recommend this for a first time cosplayer? This cosplay is great !!! Good quality of the fabric and the neat details. I took it in XL, I do 71 kg, 1 m 60 and I put the 40/42 in pants and Size 3 (40) for the top and Im fine Im not tight in it. Do not have too strong a chest I am 95 C otherwise you will be cramped. Just a little detail on the level of the sleeves and socks it squeezes a little. If you are interested go there but look at the table of measures before. Ce cosplay est super !!! Hello, how did you define your size? Because if I take my own measurements I fit XL for the waist, M for the hips and L for the shoulders> w Bonjour, comment astu définit ta taille ? Parce que si je prends mes propres mesures je correspond à du XL pour la taille, M pour les hanches et L pour les épaules >w< ! Merci de ta réponse ^^ ! The things on this site take so long to get ?? as coisas desse site demora quanto tempo pra chegar ?? This was so great. The fabric was great material and everything fit wonderfully. My only complaint is about the belt. The fabric was bent a little, but its an easy fix. This was so great. The fabric was great material and everything fit wonderfully. My only complaint is about the belt. The fabric was bent a little, but its an easy fix. It took a while for the costume to arrive, but it was worth the wait! Im actually younger so I decided to get a medium and it fitted nice and snug! 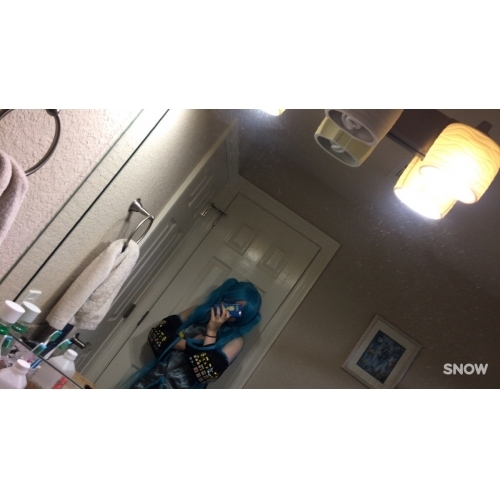 The costume was pricey (because I also had to buy a wig and head bands) but over all it was great!!! It took a while for the costume to arrive, but it was worth the wait! Im actually younger so I decided to get a medium and it fitted nice and snug! The costume was pricey (because I also had to buy a wig and head bands) but over all it was great!!! Same question. I live in California and I have not purchased cause I'm unsure if it going to arrive on time for halloween and I asked them the same question without no answer. This cosplay is so beautiful! 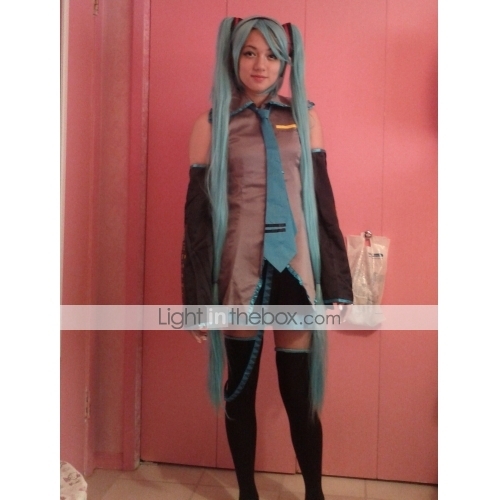 The top is very soft and silky, and all of the materials used for the cosplay are of very high quality. Everything fits very well with the exception of the leg warmers, which are too short, but that is okay because no specific measurements were given for those and I have some that are very similar to them to wear instead :) The cosplay came with Mikus red and black hair clips too, which was really nice because I had forgotten to order some when checking out, so I was so happy to see that they were included. I had chosen 68 day shipping, but it arrived to my house in 17 days, which is still more than a week before the time that I needed it. If you are considering purchasing this cosplay, I think ordering it about a month or so in advance will help to ensure that you will receive it in time. This cosplay is so cute, and I love it so much! 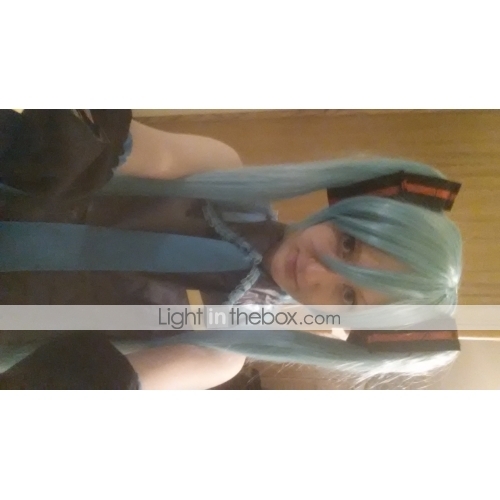 I will definitely be ordering from Light in the Box again :) Thank you so much for this beautiful and wellmade cosplay! This cosplay is so beautiful! 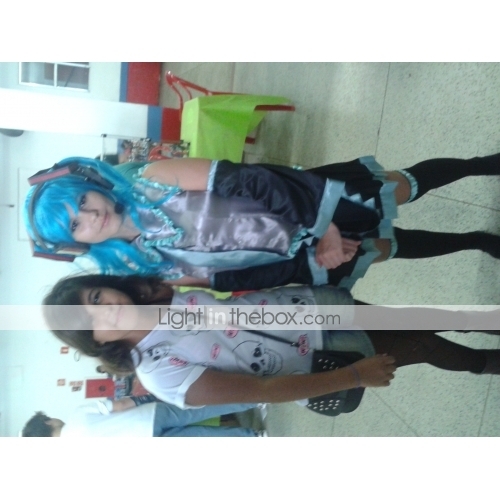 The top is very soft and silky, and all of the materials used for the cosplay are of very high quality. Everything fits very well with the exception of the leg warmers, which are too short, but that is okay because no specific measurements were given for those and I have some that are very similar to them to wear instead :) The cosplay came with Mikus red and black hair clips too, which was really nice because I had forgotten to order some when checking out, so I was so happy to see that they were included. This cosplay is so cute, and I love it so much! 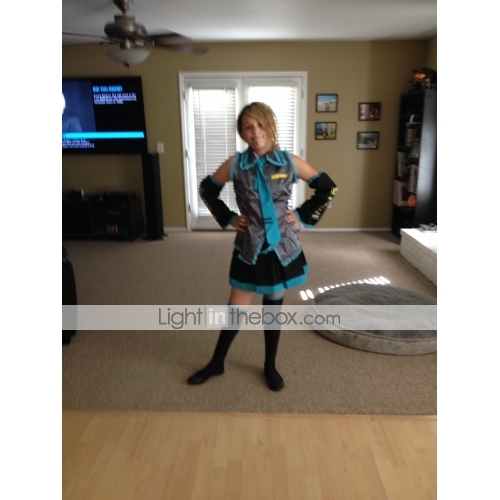 I will definitely be ordering from Light in the Box again :) Thank you so much for this beautiful and wellmade cosplay!